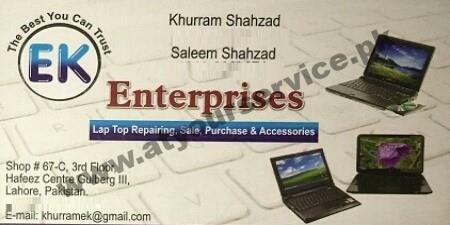 EK Enterprises is located in Hafeez Centre, Main Boulevard Gulberg III, Lahore. It provides services of sale, purchase and repair of laptops. We deal in all major brands of laptops. We also provide all kind of accessories related to laptops.